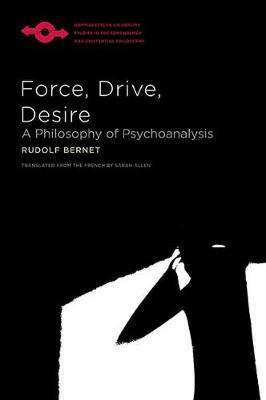 In Force, Drive, Desire, Rudolf Bernet develops a philosophical foundation of psychoanalysis focusing on human drives. Rather than simply drawing up a list of Freud's borrowings from Schopenhauer and Nietzsche, or Lacan's from Hegel and Sartre, Bernet orchestrates a dialogue between philosophy and psychoanalysis that goes far beyond what these eminent psychoanalysts knew about philosophy. By relating the writings of Freud, Lacan, and other psychoanalysts to those of Aristotle, Leibniz, Schopenhauer, Nietzsche, Husserl, Heidegger, and, more tacitly, Bergson and Deleuze, Bernet brings to light how psychoanalysis both prolongs and breaks with the history of Western metaphysics and philosophy of nature. Rereading the long history of metaphysics (or at least a few of its key moments) in light of psychoanalytic inquiries into the nature and function of drive and desire also allows for a rewriting of the history of philosophy. Specifically, it allows Bernet to bring to light a different history of metaphysics, one centered less on Aristotelian substance (ousia) and more on the concept of dunamis-a power or potentiality for a realization toward which it strives with all its might. Relating human drives to metaphysical forces also bears fruit for a renewed philosophy of life and subjectivity. Edition Statement 2nd Updated with New Preface ed. Rudolf Bernet is a professor emeritus of philosophy at the University of Leuven in Belgium and president of the Husserl Archives. He has been a visiting professor at the Universite Nice Sophia Antipolis, the University of Copenhagen, Boston College, the Sapienza University of Rome, Stony Brook University, the Chinese University of Hong Kong, and the the Albert Ludwig University of Freiburg. He is the editor of Edmund Husserl's Texte zur Phanomenologie des inneren Zeitbewusstseins, the coauthor of An Introduction to Husserlian Phenomenology, and the author of La vie du sujet: recherches sur l'interpretation de Husserl dans la phenomenologie and Conscience et existence: perspectives phenomenologiques.